Warcraft: The Beginning and Assassin's Creed are now receiving the Hollywood treatment, and it looks as if we could finally have some good video game adaptations. The CGI is absolutely perfect, the actors seem like great fits, but let's be honest, the soundtrack could still use some more polishing (Ahem, Assassin's Creed Trailer with Kanye West Music, Ahem). Even if the music is still deafening, at least we could see that the source materials are given justice, but that still depends on how these two movies would perform once they are released. In case you weren't able to catch-up on, video game-based movies have bombed in both the box office and with the critics for being too generic or too convoluted. Now the timing seems perfect for video game adaptations to reach their full potential, it begs the question. What's next? Well, I am here to pitch to you a Command and Conquer movie. Together with us at Dateline Movies, we return to the screenwriting trash bin, but not Hollywood's, mine, which is covered in old fan-fiction articles ever since I started writing at the age of seven. Last year, I borrowed a copy of Command and Conquer 3: Tiberium Wars from my close friend Von, from our first anime countdown post. After many hours spent on all three campaigns, I realized that there was something great about the entire Command and Conquer universe as a whole. There was not much character depth, in my own opinion, but the atmosphere and fun mythology makes the entire world worth exploring. I became a fan of the game series, and like any fan, I did some more research, and to my surprise, there was a lot of unused content for many scrapped projects. I read each and everyone of these ideas from top to bottom, and admittedly, it was better than the ending that we received in the fourth installment. At this time, I remembered I had a Wattpad account, which I rarely use nowadays. I conceptualize an alternate ending or an epilogue to the game series as I find the original conclusion very disappointing. I made some new characters as every game features a revolving door of casts. I thought that I could write my ideas in the form of a digital novel, but then my mother persuaded me that it could be better if I used some original ideas, given that corporations are not exactly keen on fan-fictions. She was right, so I put the entire idea completely and indefinitely on halt. Eventually, I wanted to repost my original and unfinished work here, but since it had little to do with movies, I made it into a three-hour long epic war dramedy satire, and thus was the origins of this post. Below are some casting and crew choices for the proposed movie. 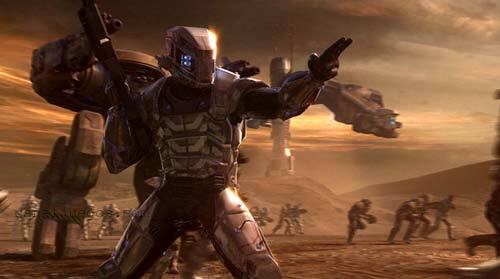 Note that while this is a video game adaptation, much of the major characters are original figures. Bruce Campbell as Francis Newcombe - An adventurous and wise-cracking commander of the Global Defense Initiative (GDI) somewhat out of his prime. Taraji P. Henson as Vivian Lewis - Francis Newcombe's cunning and deceptive supervisor and the acting head of the entirety of GDI. 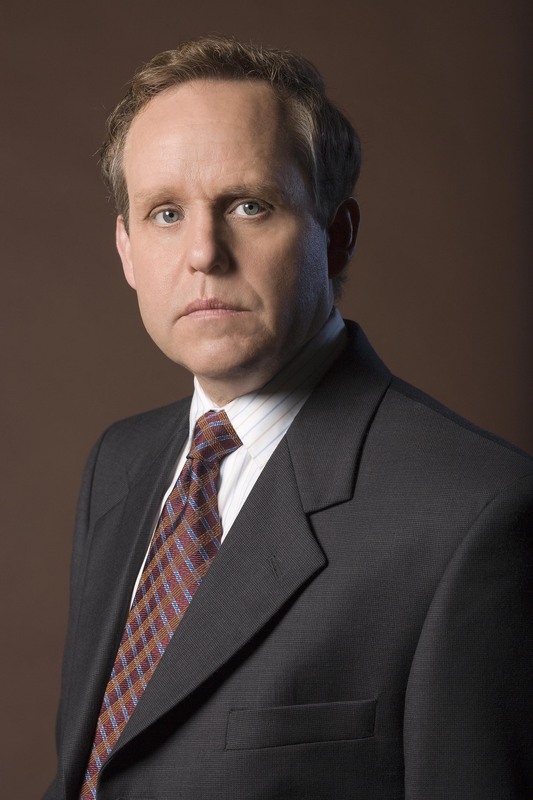 Peter MacNicol as Roger Kenneth - A paranoid GDI scientist traumatized after undergoing torture from NOD forces. Elijah Wood as Douglas Kenneth - A child protegee and Roger Kenneth's distant son, stationed in Tokyo, Japan. Rebecca Ferguson as Melinda Saunders - Once a field medic scarred for life by the wars, Melinda Saunders became a soldier with a cold heart. Tessa Thompson as Reina Nicholson - A medic stationed at Tokyo, Japan, and is the on-again-off-again girlfriend of Douglas Kenneth. 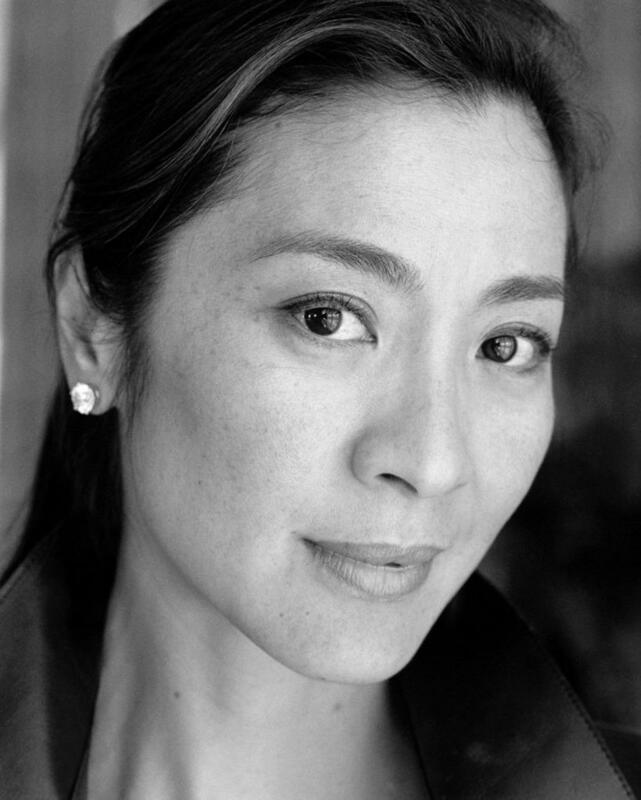 Michelle Yeoh as Ayaka Yamaguchi - A robotic expert and the head of operations for the GDI Asian-Pacific branch. Gal Gadot as Ava Pashei - a former GDI commander who defected to form The Red Lens Movement to uncover a conspiracy within GDI. 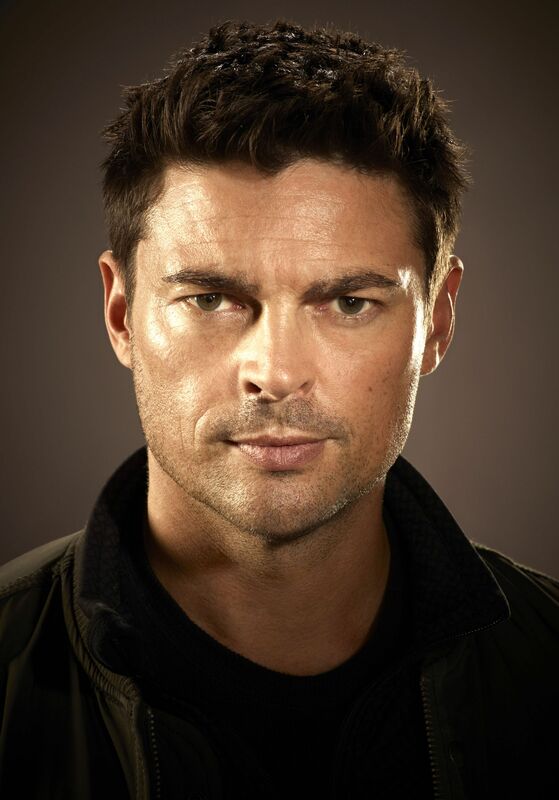 Karl Urban as Terrence Isaacs - a power-hungry commander for the Brotherhood of NOD and the nemesis of Francis Newcombe. Mark Hamill as David Seward - a corrupt wheelchair-bound founder of Seward Technologies. Ron Perlman as Dmitri Godovkin - a NOD "cyber-recruiter" and David Seward's head of computer science. Keith David as Mathias Brinkheroff - a sadistic NOD biologist and cultist who experiments on alien technology and mutated humans. Jaimie Alexander as Jane Arktor - a mysterious GDI sniper turned NOD assassin with ties to Francis Newcombe. 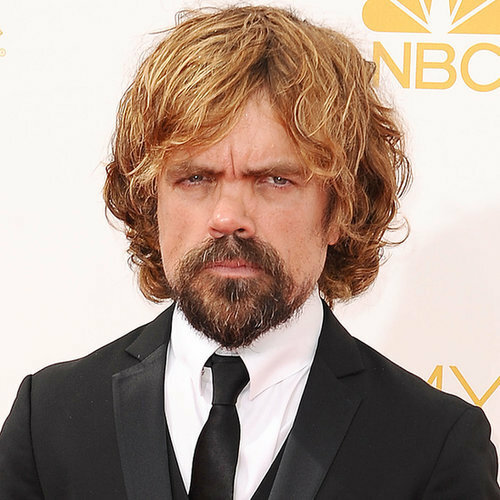 Peter Dinklage as Lawrence Miller - a NOD robo-technician and formerly Ayaka Yamaguchi's personal rival. 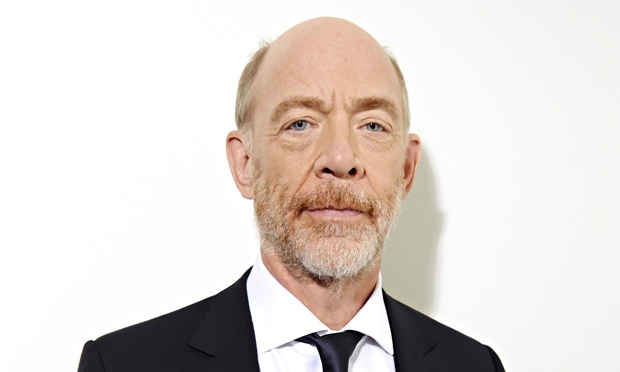 JK Simmons as Christopher Sander - enigmatic founder of the Department of Extraterrestrial Science. 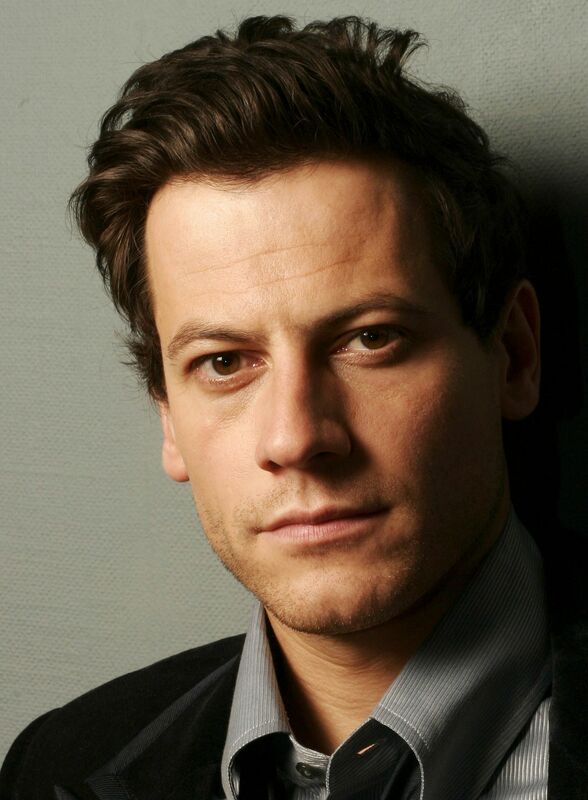 Ioan Gruffudd as William Loomis - a hard-boiled investigative journalist and news reporter. Joseph D. Kucan as Kane - the charismatic founder and leader of the Brotherhood of NOD. Additionally, Jonathan Adams as NOD supercomputer LEGION, with Grey Griffin, Corey Burton, Kevin Michael Richardson, Phil LaMarr and Tara Strong as the voices of various digital interfaces or "Electronic Voice Assistants". Long ago, a meteor crashed on Earth, leading to the discovery of the precious yet lethal Tiberium. 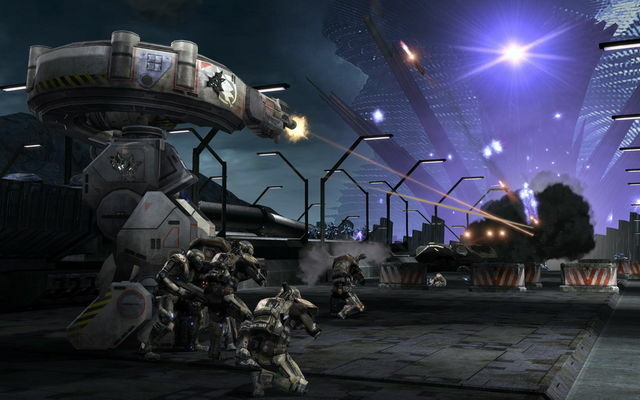 The Brotherhood of NOD, lead by Kane, played by Kucan (Command and Conquer Game Series), is aiming to use it for their own purposes, but the government agency, the Global Defense Initiative stands in their way. Years have passed, and now, an alien species known as the Scrin invaded Earth, and from their actions, a tower of unknown power emerges. In the present, GDI Commander Francis Newcombe, played by Campbell (Evil Dead) tracking down some NOD loyalists forces lead by NOD Commander Terrence Isaacs, played by Urban (Dredd), his arch-nemesis at an industrial complex near the Californian Blue Zone. 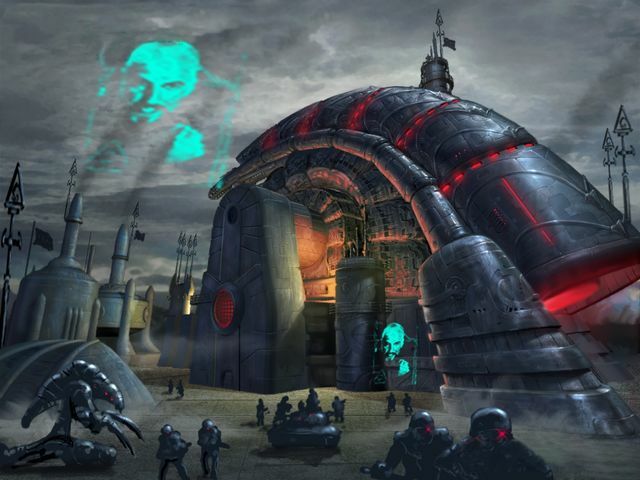 They have stolen Tiberium-based weaponry and Scrin specimens from the apparently real alien research facility that is Area 51. Scrambling his men, Newcombe encounters not only human soldiers, but also cyborgs controlled by the NOD supercomputer LEGION, voiced by Adams (Bones). Isaacs, under orders from Kane, merges some of LEGION's programming into the stolen Scrin pieces. Unknown to any of them, LEGION eventually becomes rogue, revealing that the original basis for LEGION, the sinister CABAL, is alive and converts some of the cyborgs to CABAL's cause. After a pretty destructive and lengthy battle, as well as LEGION's escape, GDI apprehends Isaacs, much to Newcombe's enjoyment. Investigative journalist William Loomis, played bu Gruffudd (Fantastic Four), of the United Kingdom branch of the news channel W3W reports on the aftermath of the ensued battle. After the broadcast, Loomis comments that he is not satisfied with his job. Loomis encounters a mysterious woman, played by Gadot (Batman v. Superman: Dawn of Justice), who invites Loomis for a chance to report something truthful, and that is to write a report about a series of anomalies in Threshold 19. In Tokyo, scientist Roger Kenneth, played by MacNicol (Agents of SHIELD), journeys to a large GDI research compound on a rainy night. Inside a building within the compound is Douglas Kennedy, played by Elijah Wood (The Lord of the Rings Trilogy), Roger's alienated son. Douglas, Reina Nicholson, played by Thompson (Creed), and Melinda Saunders, played by Ferguson (Mission: Impossible: Rogue Nation), attend a briefing courtesy of the head of the facility, Ayaka Yamaguchi, played by Yeoh (Sunshine) about some mutated humans going berserk in the Japanese Red Zone. As the many soldiers in the area suit-up, Roger meets with Douglas. Newcombe interrogates Isaacs in a GDI facility about the whereabouts of Kane and the recently revived CABAL, wherein one of the interrogators have never heard of before. Isaacs then gives a small lecture on CABAL, highlighting that CABAL was suppose to be a NOD secret weapon, until it became self-aware and almost launched a nuclear attack. Kane salvaged the remains of CABAL and created LEGION, who has a special connection with the Tacitus, which was stolen from GDI a few years back. After the interrogation, Newcombe reports to his superior Vivian Lewis, played by Henson (Empire) and congratulates him for his victory, much to the head of the Department of Extraterrestrial's head Christopher Sander's, played by Simmons (Whiplash), chagrin because their recent battle nearly cost the stolen items. Just then a prison break ensues, lead by assassin Jane Arktor, played by Alexander (Blindspot), who is Newcombe's long lost daughter. Loomis, accepting the invitation, discovers that a faceless consortium known as Seward Technologies, founded by the wheelchair bound David Seward, played by Hamill (Star Wars Trilogy), is exploring the Red Zone and is experimenting with the Tower. Loomis is captured and wakes-up in a laboratory, greeted by Seward's head of research and development Lawrence Miller, played by Dinklage (X-Men: Days of Future Past). Seward orders Miller to give Loomis a tour of the facility, revealing that the company, actually a front for NOD, is creating more Tiberium-based arsenal with Scrin technology. The mysterious woman, with a handful of soldiers at her side, comes to Loomis' aid, and rescues him from Seward. Roger and Douglas have a small chat, which is frequently interrupted by Douglas swaying Roger due to his paranoia. Douglas then heads out with Reina and Melinda to the Japanese Red Zone after a bitter farewell to his father. Douglas, Melinda and Reina reach Mount Fuji and set-up a forward base at a nearby dying forest. But as they set-up shop, they are ambushed by mutated humans known as The Forgotten, who are usually allies to GDI, but have since gone much more uncontrollable. From his security cameras, a silhouetted figure and Tiberian Fire cultist, played by David (Spawn) watches in amazement, declaring that the test was a success. In Kiev, Ukraine, Newcombe is deployed to track down LEGION to the Russian area. He is also sent to control the riots in Russia. 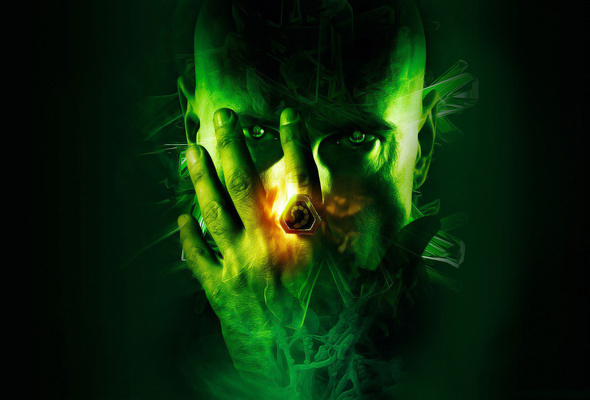 Isaacs is sent by Kane to make sure that LEGION would be the key to NOD's lifelong objective, the so-called Ascension. LEGION reaches Seward's right hand man Dmitri Godovkin, played by Perlman (Pacific Rim) in a robotic testing facility. LEGION convinces Godovkin to launch an attack at the Kremlin to steal some experimental Tiberium with a use of reactivated Scrin drones. The attack is thwarted by GDI. 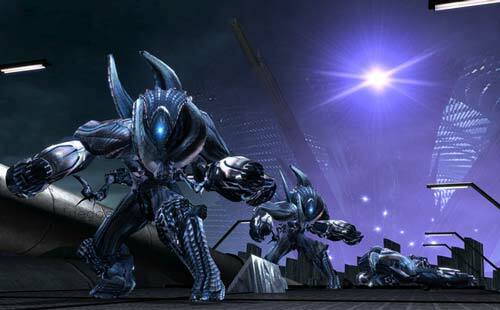 NOD and LEGION then head to Area 51 to collect some more materials, invited by a NOD infiltrator within The Department of Extraterrestrial Science. At The Red Lens outpost in Ground Zero, the woman tells Loomis that her real name is Ava Pashei. She was a former GDI commander who defected when he discovered that someone within GDI is providing NOD with some Scrin technology. She also says that GDI framed the Red Lens for many war crimes, which the NOD infiltrator orchestrated. The movement is planning to steal an anti-matter bomb from Seward, which can destroy the Tower for good, to which Loomis accept the offer to cover the story. Much of the Iron Guard has been massacred by the "Critters" that attacked them, and Yamaguchi and Roger set out to rescue as many other armored soldiers as they can. Douglas, Melinda and Reina are forced to split-up after their encounter with the enhanced mutants, with Douglas being rescued by a handful of allied mutants, Reina being trapped in what looks like a garden of mutated plantations and animals, and Melinda captured by Mathias Brinkheroff, the mastermind behind the Critters. Douglas and Reina soon reunite with a small tribe of mutants with an uneasy alliance due to the mutants distrust towards the humans. Melinda soon discovers that Brinkheroff had experimented on her family upon looking the looks of his now mutated daughter with familiarity. Brinkheroff then reported to the NOD infiltrator via radio. Newcombe makes his way to Area 51, but later than expected now that NOD has taken over the alien research laboratory. Isaacs now joins forces with LEGION, and he is given the last of the prototype Screaming Eagle armor, which was then used by LEGION and made Isaacs his host. Their bond morphed Isaacs into a techno-organic being. 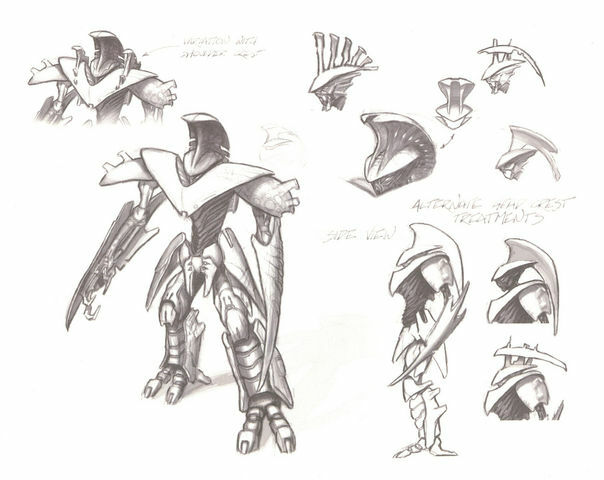 The rest of NOD claim as much artifacts as they can, as well as some Scrin equipment, as well as some machines built by CABAL long ago. When Newcombe launches an attack, GDI soldiers accidentally activated a time machine, which leads to one of the NOD followers being sucked into a time vortex. The activation of the time machine causes much of the Scrin technology to go berserk and bond with the other NOD cyborgs and soldiers. Newcombe then proceeds to firebomb the entire facility, only to realize that LEGION and the "Dark Winter" army have escaped to Threshold 19, where Kane has met with Seward and Miller to activate the Scrin Tower. Before destroying the facility, Vivian Lewis reveals herself to be the NOD infiltrator, and orders Godovkin to hack into GDI's precious Ion Cannon, and destroy GDI's Liberty Base in New York City, killing thousands of GDI soldiers and even herself out of guilt. Her motivation was that GDI, because of Christopher Sander converting the force into a near-totalitarian authority, have become as dangerous as NOD, making her believe that GDI is no better than their enemies. Newcombe, and a few men by his side, meet-up with Sander, who provides them with unlimited anti-Scrin and NOD arsenal to fight, with a sincere apology for his indirect mistakes. These mistakes were results of the death of his son at the hands of NOD. The blast is heard and seen even in Japan and in Ground Zero. The Iron Guard and the Forgotten make a final stand against the Critters, and eventually to Mathias Brinkheroff's stronghold, with an army of enhanced mutants by his side. Brinkheroff reveals to Melinda that all of this was not just a test for some experimental mutants, but was also for him to let people know that for him, suffering was fun. After a battle against a lot of monsters, Melinda impales Brinkheroff with a Tiberium-made sword. With Douglas reuniting with his father, the rest of the Iron Guard join forces with Newcombe's army, following-up on distress a signal sent from The Red Lens Movement at Ground Zero. LEGION, with Kane holding the Tacitus, opens the portal within Threshold 19, with a large fleet of Scrin ships hovering above the skies of the world, while the weather is constantly disrupted by the aliens' arrival. Tiberium growth expands exponentially all across the globe, and evacuations are in full swing, with Roger, Loomis and Sander sent to a safer location. GDI's strongest forces make it to Dino Island in Italy, and immediately set-up a camp and search for the source of the signal, which is revealed to be Ava Pashei, asking them for help in reclaiming the anti-matter bomb. The bomb was already re-obtained and was being transported via a train, but seismic activity from the Tower derailed the train. With the Scrin attacking in great numbers, GDI sets out to look for the bomb, while Douglas, Melinda, Ava and Newcombe sneak into Seward's main laboratory beside Threshold 19 to end the threat. A battle ensues, and Kane is finally about to enter the portal, but is stopped by the clash between LEGION/Isaacs and Newcombe. Melinda has Kane, and Kane pleads that he just wants to ascend. Distracted, Melinda is stabbed in the back literally by a mutated Godovkin as Douglas and Ava in-turn battle endless hordes of Scrin and cyborgs. Kane accidentally falls into the visibly unstable portal with Isaacs and LEGION pushed into it. The portal implodes, along with the rest of the facility. From the portal, however, Kane, Isaacs and LEGION combined to become a single, giant and omnipotent being known as the "Ascended". As Ava, Douglas and Melinda escape, Newcombe, assisted by his mutating daughter, who had a crisis of conscience, carry the anti-matter bomb to the Scrin Tower, Newcombe staying behind to make a heroic sacrifice. The bomb explodes, a large white light appears, and all at once, NOD followers disappear. Kane, LEGION, Isaacs, all of NOD, except for Arktor, disappeared, and the Tower finally falls. The war is over. Tiberium is slowly decreasing in numbers, and much of the Scrin, who were suppose to harvest the Tiberium for their survival, retreat as they now have enough supply for their survival. 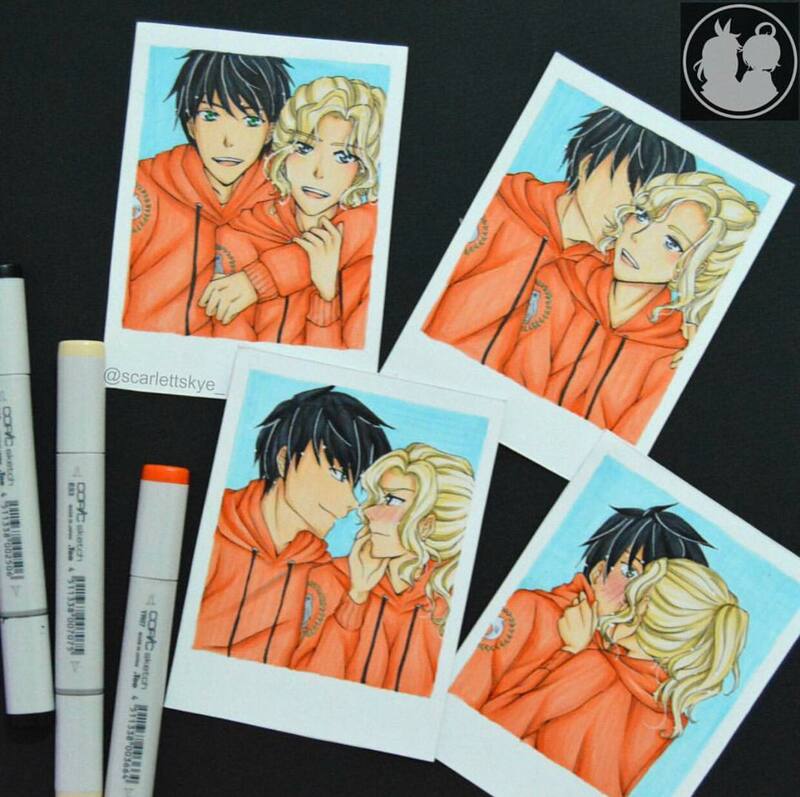 The Scrin Hive Mind is calm, knowing that they now have something else as well. Back on Earth, life is becoming more and more peaceful. Sander loosens his grip on GDI, now monitored by Ava, as they continue to bring peace whenever necessary. Sander as well proceeds in developing a cure for The Forgotten. Loomis finished writing his story, and has since been happy with his life, knowing that he did something great after all. Roger and Douglas bonded, and Douglas and Reina started a family. Jane, feeling guilty for betraying her father, goes on a soul searching journey, to honor his dad, and that he was left behind because of his betrayal against Kane. In addition, Melinda explores Japan for her mutated family. 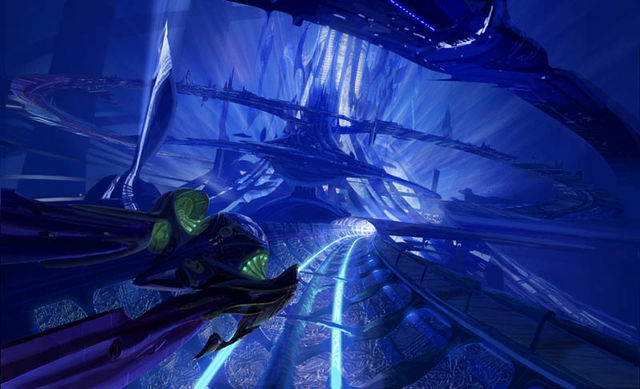 The film ends with a small glimpse of Kane, leading his newly "ascended" Brotherhood, to begin a new life in the Scrin home world, with a smile on his face. 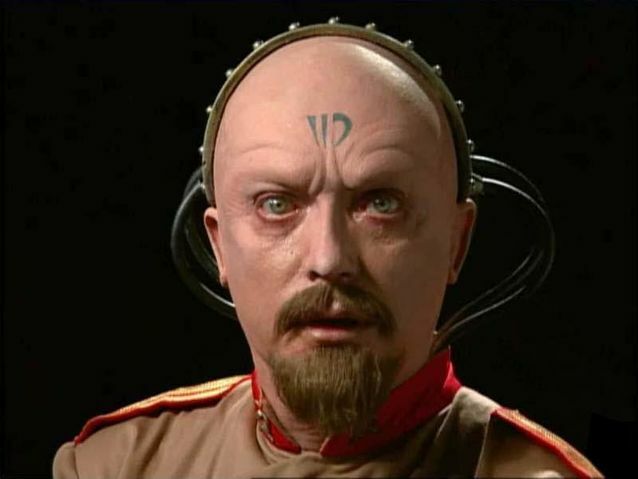 In the mid-credits scene, the NOD soldier that was sucked into a "chrono vortex" from the time machine in Area 51, later identified as Yuri, played by Kier (Blade), has been transported to the 1960s, in the height of the Cold War. He is then brought before a mysterious man who plans to kill him for being suspected of spying for the Allies, only to show that he received mind-controlling powers from his contact with alien specimens in Area 51. When asked what does he do for a living, he says he just has "one vision, one purpose", and the man is then revealed in the closing shot to be a smirking Kane, remarking that there is only "peace through power".  Well officially we are now making fan-fiction, and yes, this was supposed to be a part of Hows of Dateline for our videos, but it never materialized due to scheduling conflicts. I'm not sure if Hollywood would accept this story pitch, but I'm very much sure they wouldn't care. Anyway, thanks for taking the time to read our second movie pitch, with the first technically being the Doctor Strange post-credits scene. And if you're asking if we would be publishing some original stories with our own characters, let's just say I have something in store for those. 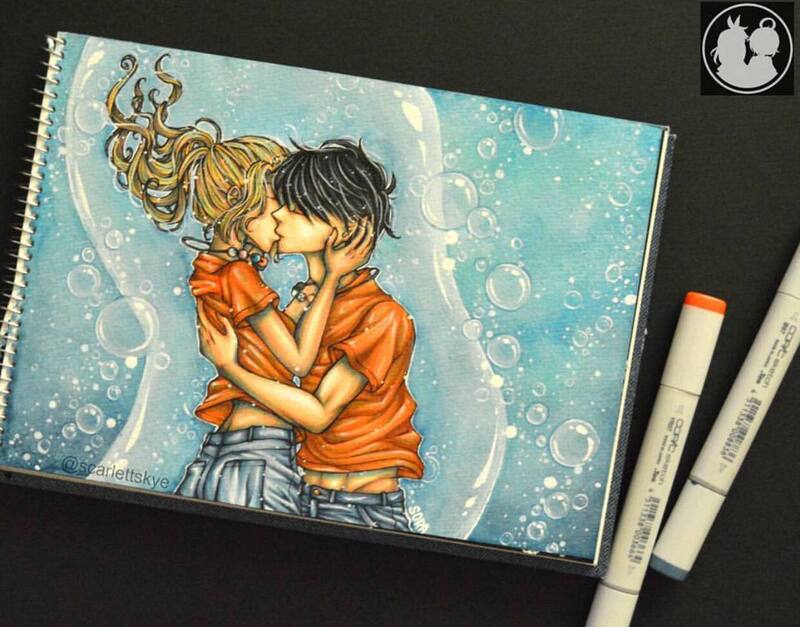 What other source materials do you think is worth a fan-fiction? Let us know in the comments! By the way, are you still confused with all of the mumbo-jumbo? Check-out the video below to get a better understanding of the world of Command and Conquer. 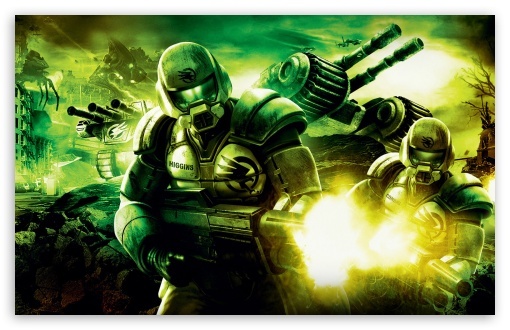 DISCLAIMER: Command and Conquer and all related elements are properties originally created by Westwood Studios and now EA Games, specifically the faction names and the names "Command and Conquer" and "Tiberium". 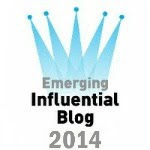 This post is strictly for entertainment and informational purposes only, and is under the "fair use" category. No copyright infringement intended.